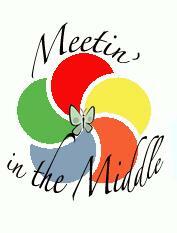 Meetin' in the Middle is a program for sixth through eighth-grade girls who would like to jump start their way to a healthy lifestyle of activity and good nutrition. We will be combining fitness and exercise, yoga, dance, nutrition and most importantly, FUN! The program will be held three Thursdays - June 16 from 2 to 4 p.m.; June 23 from 2 to 4 p.m.; and June 30 from 1:30 to 4 p.m. at the Red Brick on Main, 120 West Main Street in Wilmington. The program is free of charge and is conducted as a community service linked to the local Wilmington on the Move initiative and inspired by the national project spearheaded by the First Lady, called Let's Move. Volunteer instructors include Tanya Carey, Fitness Specialist; Sue Hanna, Nutrition Coach; Tammy Reed, Yoga Teacher; and Cole Haugh, Dance Instructor. If you have any questions, please call Theresa Rembert at The Red Brick on Main, (937) 382-5153 or (937) 383-2282, 3#. Did we mention this is all about FUN and that it is FREE?